The AST is a superb cost effective, high accuracy S-type tension and compression load cell. Constructed robustly of high strength aircraft aluminium, it’s a versatile load cell ideal for an array of applications. Used extensively for static weighing and in the agricultural industry, it has proven to have a rugged long life. The AST features an IP67 rating and is backed by a three-year warranty. 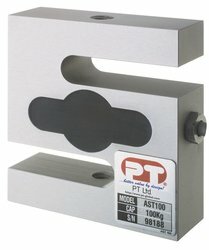 Many of the metric accessories can be used with the AST model.